Two weeks into the season, the last two NFL Champions, Philadelphia and New England, have already lost on the road to Jacksonville and high-scoring Tampa Bay. We’ve also had two games end in ties during the first two weeks for the first time since 1971. Cleveland and Pittsburgh tied 18-18 week one, and the Vikings tied Green Bay 29-29 in week two. The rising South — Jacksonville, Miami and Tampa Bay — are all 2-0. Denver, Kansas City, Cincinnati, and Los Angeles are also 2-0. Sunday I saw the Rams dominate Arizona 34-0 on the campus of USC at the historic Los Angeles Memorial Coliseum. They might be the best team in the league. In two weeks the Vikings play those Rams on Thursday night in prime time on FOX. After tying the Packers 29-29 at Lambeau Field, with quarterback Kirk Cousins throwing for 425 yards and four touchdowns, the Vikings had a punt blocked for a touchdown. Rookie kicker Daniel Carlson was not cutting it — he missed three field goals. Subsequently, the Vikings announced on Monday that Carlson had been released. 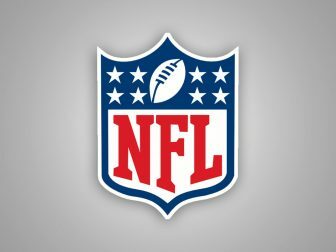 The NFL Network has announced that Tuesday, September 18 at 7 pm and Wednesday at 11 pm Vikings and Packers fans can watch the intense game again. Both the Vikings and Packers are 1-0-1 among the nine still unbeaten teams. Pat Mahomes, the young Chiefs quarterback, is the talk of the league. In his first three NFL starts he’s thrown an NFL-record 10 touchdown passes, including six TD passes in the Kansas City 42-37 upset at Pittsburgh. The next three weeks the Vikings play home to Buffalo, then travel to the Rams for a Thursday night game and then Philadelphia the following Sunday. All three teams were playoff teams in 2017. 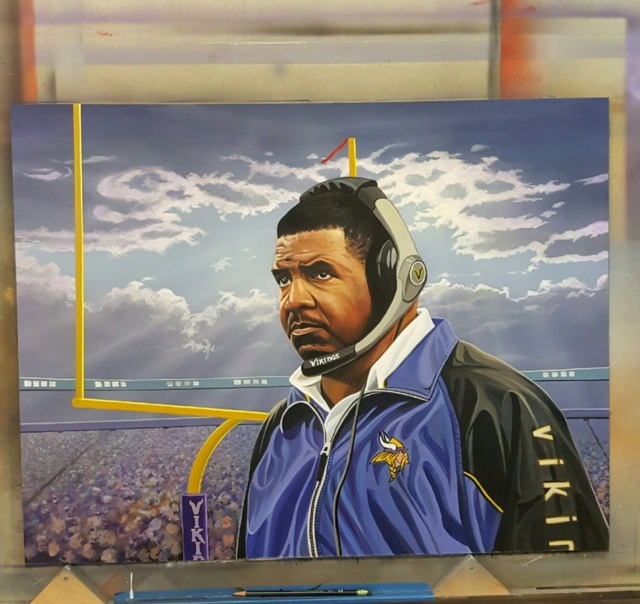 0-2 Buffalo is here Sunday when the Vikings will honor at halftime former head coach Dennis Green by inducting him into the team’s Ring of Honor. Green’s family, including his window Marie Green, daughters Patti and Vanessa, and son Zachary will receive a personal artist-painted portrait of Green. Green was the second-winningest head coach in Vikings history, 101-70, and led the team to the playoffs eight times in 10 years. Two of his assistants, Brian Billick and Tony Dungy, won Super Bowls as head coaches. Tyrone Willingham, his running back coach, became the first Black head coach at Notre Dame. Green’s 1998 team that scored 557 points, then an NFL record, were 15-1 in the regular season. They finished 16-2 and won 10 games by 10 points or more, still an NFL record. Five of his players were inducted into the Pro Football Hall of Fame: Cris Carter, Randy Moss, John Randle, Chris Doleman and Randall McDaniel. Also, Green started the NFL signature Community Tuesday with his players visiting area community centers and parks to motivate young people. As someone who followed the Vikings from 1998-2016, I must say that though I’m happy to see Denny Green finally getting his much deserved due, it’s a damn shame that it took the Vikings franchise this many years to honor the greatest coach in team history not named Bud Grant. The mediocre Jerry Burns gets more love than the late Green. I would argue that the Vikings franchise and fan base paid a much deserved heavy price long-term for its strident Minnesota Nice racism towards Mr. Green and termination of his employment in 2001. And judging by Grant’s racist views on Kaepernick and the overall protests (and protestors), it’s quite clear that though Green never had the winning percentage of Grant, he defeated him in the game of character and embodied what it means to be in the Ring of Honor (Grant could learn a thing or two about character and humility). Would watch the ceremonies on television, but I have been pretty much boycotting that plantation league for over a year, so I’ll probably pass. Thank you.